From the briny streets of Seattle to the mossy slopes of the Columbia River Gorge, any Northwest homeowner can expect to enjoy some of the country’s most breathtaking views. Additionally, the region is rainy enough to have fueled to angsty lyrics of Nirvana, so it’s also going to be wet enough to wreak some major havoc on your home windows. 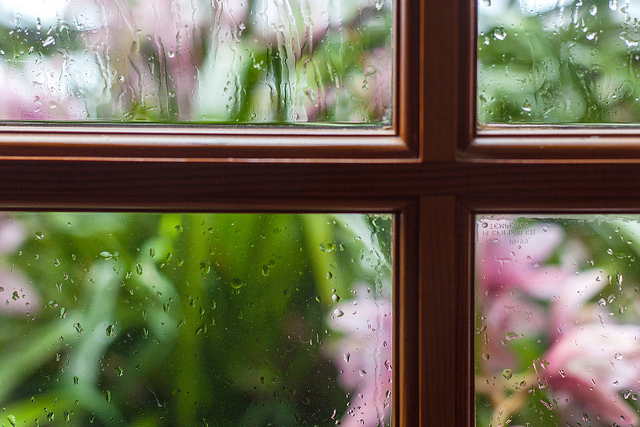 To properly enjoy these views, it’s important to find home windows that can stand up to the rainy, moist climate. Take a look at some of our helpful tips to get the best home windows for your Northwest home today. The Pacific Northwest is known for having a temperate climate. Snow is rare in the winter, especially if you’re on the coast, and heat rarely reaches suffocating heights. Besides earthquakes and the extremely rare volcanic eruption (Mt. St. Helens, for instance), catastrophic natural disasters are rare. In that case, the major concern for home windows in the Pacific Northwest is moisture. Additionally, although the region’s temperatures rarely drops below freezing, the constant rain does foster a uniquely forlorn type of chill. As such, you’ll want home windows that can block out the gloomy weather. The best materials for home windows in the Pacific Northwest are vinyl and fiberglass. Both materials will stoutly resist moisture damage, prolonging the lifespan of your home windows. Vinyl is less expensive than fiberglass, but fiberglass is generally sturdier than vinyl, and is much less likely to easily expand and contract with changing temperatures. Because of this quality, fiberglass has a longer lifespan than vinyl. Wood-resin composite home windows are also a good choice, as these will hold up against the moisture better than standard wooden home windows. You also want well-insulated windows to keep your home warm in the winter but, because summers in the Pacific Northwest are often short, it’s actually beneficial to choose windows that will let in plenty of heat during the summer. Look for windows with a high solar heat gain coefficient (SHGC), as this will ensure that the sunlight will provide some extra heat through your home windows. In general, homeowners in the Pacific Northwest should avoid windows made of wood, especially home windows made of softwoods such as pine. Unless you purchase some kind of moisture resistant wood composite, wooden home windows are prone to moisture damage. This process could in turn lead to rot and decay, forcing you to replace your windows, a potentially expensive project. So, staying away from wood home windows will most likely help you avoid unwanted future expenses. Since the Pacific Northwest is such a beautiful region, many home windows are large and look out onto gorgeous views. Try planning a breakfast nook with generous windows so that you’ll have the perfect place to look at a range of rolling mountains or the beautiful coast. Or, install some expansive bay windows in an office or library so you’ll have a quiet hideaway while enjoying the rain falling over pine trees.